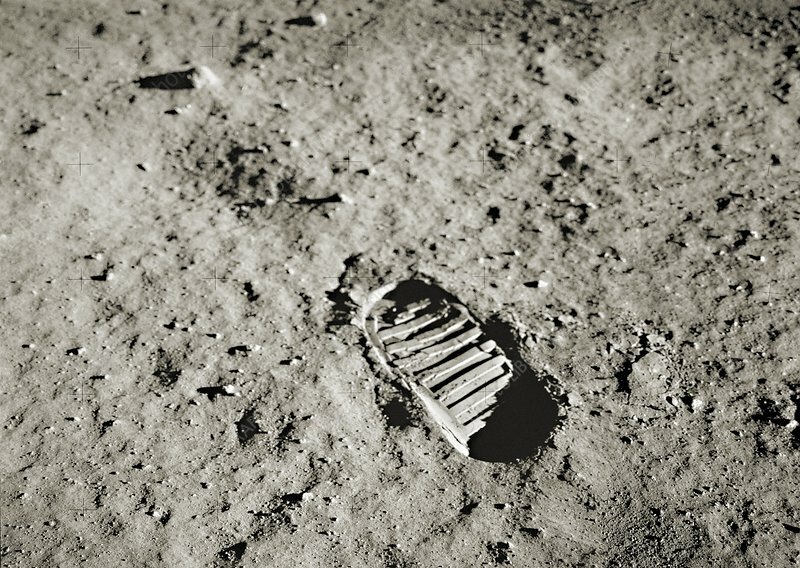 Buzz Aldrin's bootprint on the surface of the Moon, made on the Apollo 11 mission, 20th of July 1969. This was part of an experiment testing the lunar regolith (layer of dust and soil covering solid rock) and showing its fine, powdery texture. Apollo 11 astronauts Buzz Aldrin and Neil Armstrong were the first humans to walk on the Moon. The mission was launched on the 16th of July 1969 and landed on the Moon on the 20th of July. The crew splashed down in the Pacific ocean on the 24th of July.